You have probably seen our logo before. After all, our hand dryers and water heaters can be found all around the world. Our customers know that the STIEBEL ELTRON name represents superbly engineered products manufactured to exacting standards of quality. Stiebel Eltron Asia is our Asian representative office and these pages are here to inform you about our products, provide you with contact information for our various dealers throughout Asia and allow you the opportunity to provide us with feedback about our products and service. 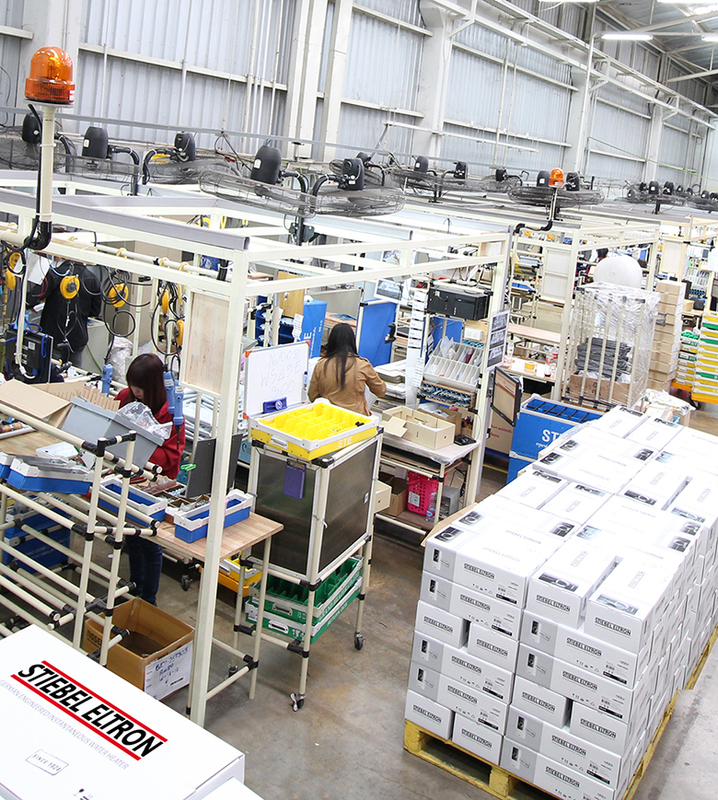 Stiebel Eltron dealers in the Asian Pacific region distribute: ELECTRIC WATER HEATERS , WATER FILTERS, HEAT PUMPS and ELECTRIC HAND DRYERS. When developing new products, STIEBEL ELTRON invests almost 30% of the project cost in quality assurance. Quality starts at the design phase and continues throughout the development phase, when all materials and components are stringently tested to ensure they are environmentally friendly and more than durable enough for operation. When the product is put into production, STIEBEL ELTRON also implements quality control systems at every stage of the manufacturing process. Our research and development team strive to produce electric water heaters and hand dryers that maximize energy savings and minimize environmental impact. We are also constantly testing and developing to make them even better. STIEBEL ELTRON products are designed to be friendly to the environment in every way. Manufacturing methods are designed to be energy efficient and produce minimal waste. Products are designed to be energy efficient, conserving our environment and helping end users save money on their electricity bills. As much as possible, we use recyclable materials in the manufacturing process to minimize waste over the long term. 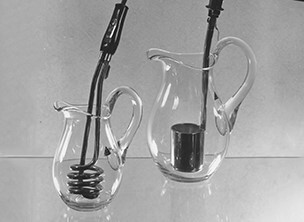 The remarkable history of STIEBEL ELTRON's success begins with the invention and production of the first coil immersion heater in a backyard workshop in Berlin in 1924. Inspired by this feat, the company has adhered to the maxims of the founder, Dr. Theodor Stiebel, who sought to produce only innovative products of the highest quality. STIEBEL ELTRON has become one of the leading manufacturers in the fields of "Hot Water" and "Renewable Energy". on 5 May in Berlin. 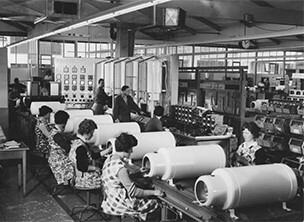 In the same year, he begins production of coil immersion heaters in a small backyard workshop in Reichenberger Straße. 1927 The first small instantaneous water heater delivering 1000 watts and featuring revolutionary "2-stage technology" goes into production. The first of its kind, the appliance is awarded the VDE test symbol. The company now employs 30 people. 1931 The product range is widened to include overflow, high pressure and water boiler cylinders. These have a water capacity of up to 600 litres depending on the model. The instantaneous water cylinder, launched the same year, guarantees short-term hot water supply. The Berlin plant is completely destroyed during World War II. Dr. Theodor Stiebel completes the move to Holzminden in Lower Saxony. 1944 The facilities which had already been rented in Holzminden the previous year are now extended with the construction of new production facilities to create sufficient capacity. The following year, production of non-electrical appliances such as saucepans, frying pans, washing sprinklers and irons begins. 1946 Production of electrical appliances such as convection ovens, hotplates and hobs resumes. Hot water appliances such as immersion heaters are also manufactured again. The company now employs 400 people. 1960 On 9 September, the company's founder, Dr. Theodor Stiebel, dies at the age of 66. With 160 patents at home and abroad, he is one of the pioneers of modern domestic hot water heating. 1968 The company becomes one of the pioneers of modern electric heating with the development of its storage heaters. Known as night storage heaters, heat is stored inside these appliances during off-peak periods when electricity is available at economy tariffs. This heat is then released to heat the home. 1976 STIEBEL ELTRON becomes one of the first manufacturers to develop and manufacture heat pumps. The 70s are characterised by oil crises, rising oil prices and car-free Sundays. Public attitudes start to change and systems based on renewable energy come to the attention of the public for the first time. Over the next few years, the company continues to develop heat pump technology and manages to establish itself as the market leader in Germany. 1977 The concept of using solar energy leads to the development of solar collectors. Over the next few years, STIEBEL ELTRON goes on to introduce a complete range, including high performance flat-plate collectors, DHW cylinders and compact solar installations. 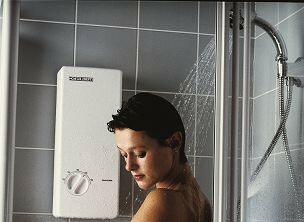 1987 STIEBEL ELTRON introduces the DHE, the world's first fully electronic instantaneous water heater. In the world of hot water heating, the concept of "convenience" takes on a whole new dimension. The electronic instantaneous water heater supplies hot water at a precise temperature the minute it is switched on. Once set, the temperature you have selected remains constant, even if taps are turned on elsewhere. 1991 The product range is extended with domestic ventilation systems with heat recovery. Modern ventilation systems not only ensure a healthy room climate, they also maintain the fabric of the building and are extremely energy efficient. WORLD EXHIBITION AND EXPANSION 2000 STIEBEL ELTRON attends the EXPO 2000 world exhibition to showcase its "Hofanlage Brombeerweg" low-energy housing development. Dr Ulrich Stiebel uses the EXPO 2000 project to demonstrate cost-effective ways of living and building, with the emphasis on good health and protecting the environment. 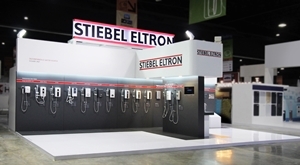 2002 STIEBEL ELTRON acquires the building services division of Electrolux Deutschland. With effect from 1 January 2002, STIEBEL ELTRON takes over Electrolux-Haustechnik GmbH with the AEG and Zanker brands and their DHW, central heating, underfloor heating, air conditioning and ventilation product ranges. With this purchase—the largest acquisition in its history—the company expands at once by almost a third. 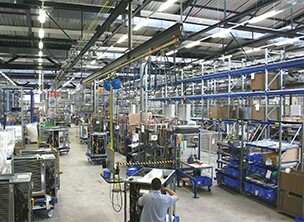 2004 STIEBEL ELTRON acquires Tatramat GmbH. The Slovak company mainly produces and sells products for DHW heating and specialised heat pumps. Tatramat has a high profile, especially in Eastern and Central Europe. 2007 The largest and most advanced heat pump manufacturing facility in Central Europe is built in Holzminden. Construction of the "Dr. Theodor Stiebel Hall" with an investment of over 10 million euros represents a milestone in the company's history. The production area, covering almost 6000 m2, has an annual production capacity of more than 25,000 heat pumps. 2009 STIEBEL ELTRON continues to invest in the German production facilities. The company responds to increased global demand for heat pumps by opening a second manufacturing plant in Holzminden. Around eight million euros are invested in the new production facility. 2012 The DHW revolution of 1987 celebrates its anniversary: 25 years of the DHE. 2014 The company celebrates its 90th anniversary: Dr. Theodor Stiebel laid the foundation for the STIEBEL ELTRON success story in 1924. On 5 May, the day the company was originally entered in the Commercial Registry and therefore the company's birthday, a new foundation stone was laid for a new training and communications centre in Holzminden. The company invests around 16 million euros in the new academy. 2015 The new training and communication centre is inaugurated with an official ceremony on 24 November. 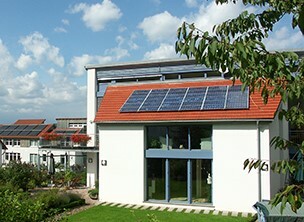 With impressive training options found only in Holzminden, the facility boasts energy transition in working practice, DGNB platinum certification, and a "Plus Energy" building. 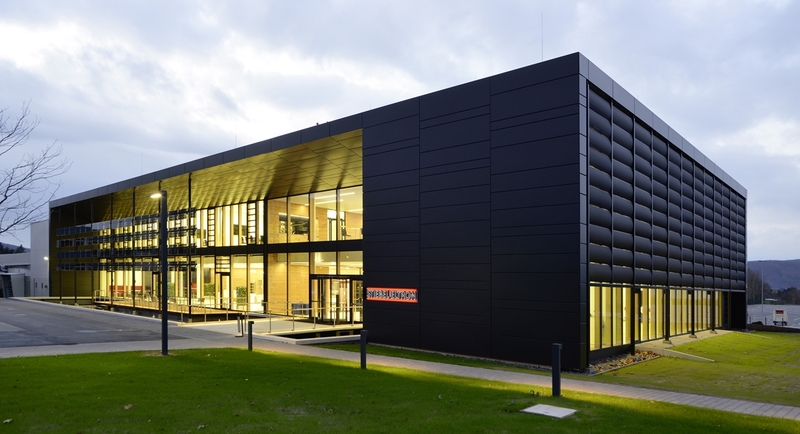 A real world laboratory for energy transition – this is the Energy Campus. The Supervisory Board, Management Board, founding family, keynote speaker and State Prime Minister Stephan Weil, and 300 guests admire the new building. As Host Thomas M. Held, actor, comedian and committed user of renewables, puts it: "Welcome to the future!" STIEBEL ELTRON is the leading water heater company in much of the Asia Pacific region. Our technology and innovative designs have ensured we remain number one in the water heater market, satisfying our end users and the commercial sector. STIEBEL ELTRON provides a wide range of premium products to meet the customer’s expectations, and we tailor our service to fit each property’s specific layout and requirements. Our main aim is to ensure customer satisfaction and establish long-term relationships, by providing special benefits and privileges as part of our customer service. For site security purposes, this government computer system employs software programs to monitor network traffic. Anyone using this system consents to the monitoring of their use by system or security personnel.